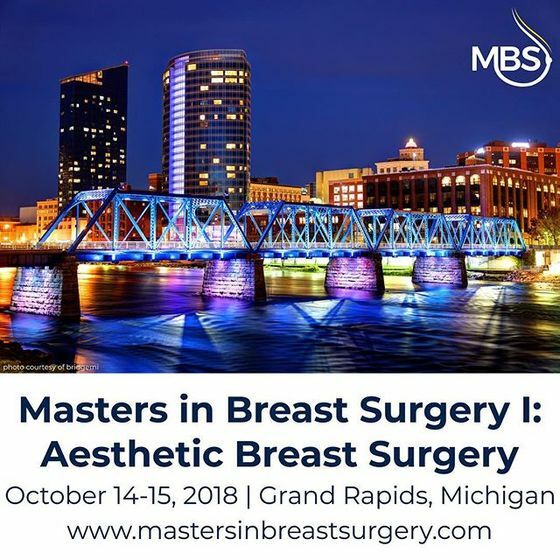 Dr. Dennis C. Hammond presents a new plastic surgery educational opportunity entitled Masters in Breast Surgery I: Aesthetic Breast Surgery (MBSI). This two-day conference will be held on October 14-15, 2018 at the esteemed Amway Grand Plaza Hotel in the heart of Grand Rapids, the second largest city in Michigan. MBSI is the inaugural event in a lecture series developed by Dr. Hammond that is modelled after the numerous presentations he has given around the world covering all aspects of aesthetic breast surgery. For the first time, all these lectures will be combined into an intensive two-day event designed to provide a comprehensive review of all aspects of aesthetic breast surgery including breast augmentation, mastopexy, augmentation mastopexy, breast reduction, gynecomastia, and the management of complications. This unique event is designed to present an organized and proven approach to all aspects of aesthetic breast surgery that will advance the knowledge and experience of all who attend. It will be an outstanding educational event and we look forward to welcoming you to Grand Rapids!